The absorption rate for Chondroitin Sulfate is estimated between 0 and 8 percent. 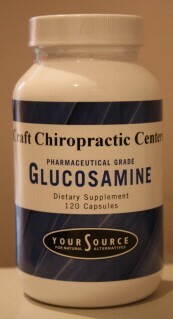 In contrast, studies show up to 98 percent of orally administered Glucosamine Sulfate is absorbed. Usage: As a dietary supplement, take 1 to 2 capsules, as directed by a halth care professional.